SpaceX's Falcon Heavy Launch Was a Smashing Success—What's Next for Space Travel? SpaceX’s Falcon Heavy Launch Was a Smashing Success—What’s Next for Space Travel? Last Tuesday, Elon Musk and the rest of the SpaceX team launched their most powerful rocket yet, leaving the entire world stupefied. The Falcon Heavy carried cargo consisting of Elon Musk’s Tesla Roadster with a dummy, the Starman, in the passenger seat. The rocket is the first of its kind to be built by a private company. Moreover, the launch accomplished SpaceX’s overarching goal of making access to space travel affordable, with a price tag of $90 million per launch, compared to roughly $500 million for the second most powerful rocket, the United Launch Alliance’s Delta IV Heavy. 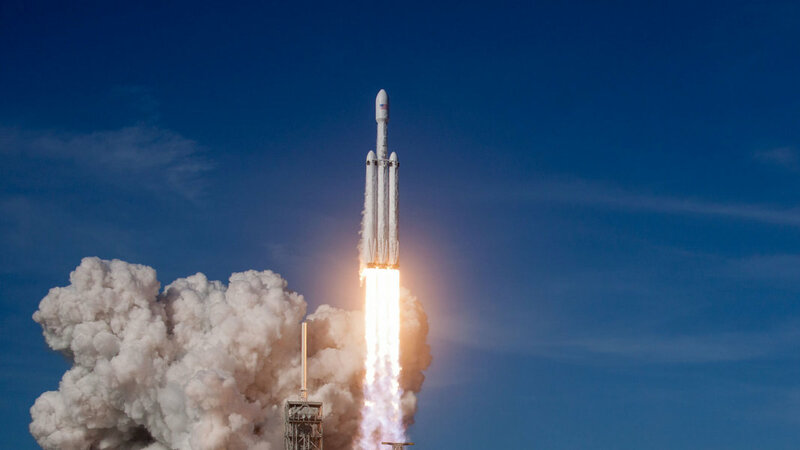 Now that the Falcon Heavy’s abilities have been demonstrated, it can be used to send satellites, payloads, and potentially tourists into space. 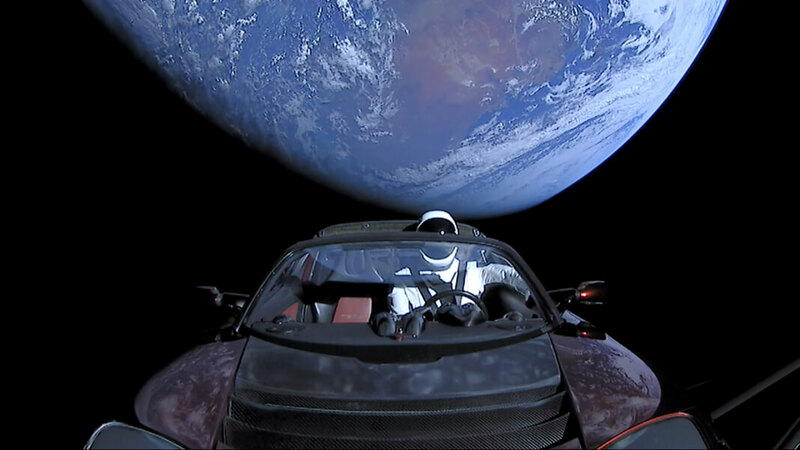 Days since the historic launch, this surreal image of a Tesla Roadster and Starman cruising away from Earth has become a symbol and foreshadowing of humanity’s exciting future as a space-faring species. After all, SpaceX’s massive transformative purpose is not simply to make space travel affordable, but rather to allows humans to become a multi-planetary species. Ultimately, Tuesday’s launch left many speechless because it brought us closer to accomplishing this aspirational goal. Given the hefty cost of space exploration, it’s natural to wonder why we should explore space. Sure, space exploration and travel can also expand our technological abilities as a nation or even as a species. There have been many inventions that would not have occurred without space travel. But that’s not the real reason we explore space. At the most fundamental level of beings, we are explorers. We often forget how far we’ve come since the very first humans left the African savannah, populated the entire planet, and developed powerful technological capabilities. Our desire to explore the unknown has shaped the course of human evolution and will continue to do so. We have always been driven by the burning desire to seek answers about the world we live in and the motivation to push the boundaries of science. Hence, knowing there is a mysterious universe 86 billion light years across waiting to be explored is invigorating to us. How could we possibly ignore its calling? Who knows what resources, opportunities, and civilizations we will discover? The fragility of our planet within this cosmic arena is yet another reason to explore space. Currently, all of our eggs are in one basket: a tiny Pale Blue Dot that we call earth. Being on earth forever will one way or another lead to an inevitable extinction of humanity. A cosmic catastrophe, such as an asteroid impact or supernova, could potentially wipe us off the planet. Becoming a multi-planetary species means expanding our options and increasing our chances of survival as cosmic time scales. Beyond that, we all want to be part of a powerful and meaningful mission, something much larger than ourselves. The cosmos gives us opportunity to find this meaning. We often get so preoccupied with our issues here on Earth that we forget we are part of the grand cosmic arena. The red planet has always captivated the attention of scientists, science-fiction writers, and innovators. With its similarities to Earth, many theorize Mars could have supported liquid water and primitive life forms at some point. Given these characteristics, Mars seems like an ideal first destination in expanding across the solar system. It may sound like science fiction, but there are many bold organizations and innovators that are striving to get us there. SpaceX has already proposed developing a Mars transportation infrastructure to facilitate the eventual colonization of the planet. The team hopes to send the first cargo mission to Mars in 2022. A second mission, with both cargo and crew, is targeted for 2024. These initial missions will serve as beginnings of the first Mars base. SpaceX is also suggesting the same technology be used as “earth-to-earth transportation,” allowing us to travel across the planet in minutes. Mars One is yet another exciting organization that aims to establish a permanent human settlement on Mars. They are currently in the process of selecting the astronauts that will take the one-way journey to the red planet and have shortlisted 100 candidates so far. Before these trained crews depart to Mars, several unmanned missions will be completed, establishing a habitable settlement waiting for the first astronauts to arrive. What’s most exciting is that the crews will go to Mars not to simply visit, but to settle and create a second home for humanity. Private companies aren’t the only ones on the path to Mars. NASA has had its own set of initiatives in exploring Mars, including multiple future missions to conduct new studies on the surface of Mars. The agency has also proposed a manned mission to Mars, which is slated to take place during the 2030s, using the Orion Multi-Purpose Crew Vehicle. When it comes to plans for exploring Mars, NASA is joined by other government space agencies such as the European Space Agency, Roscosmos, and the China National Space Administration. Exploration aside, how exactly do we colonize Mars? There are many proposed methods, but if we’re ever to live outside habitats, it would take many generations of terraforming, where organisms like cyanobacteria and phytoplankton could be used to convert carbon dioxide in the atmosphere into breathable oxygen. Other suggestions for making Mars habitable have included injecting greenhouse gases into the atmosphere and launching a giant magnetic shield. Life support systems and supply of resources for the long-term will need to be built. Ultimately, it will most likely take many generations of colonists, experiments, failures, and even building a Martian economy. Technical barriers aside, we also need to equip the “Mars Generation” with the values, skills, and mindsets to build a flourishing and peaceful civilization from scratch. Yet the major challenges of this goal are not just scientific or technical, but also come down to getting funding and support from governments and the public at large. Last year, NASA’s budget was a tiny fraction of the total federal budget. Six percent of the federal budget was dedicated to education. 54 percent was set aside for military and warfare. Now what does that say about us as a society? Despite the seemingly far-fetched journey ahead, Mars is just the beginning of humanity’s journey of becoming an interplanetary species. As depicted in the enchanting short film Wanderers, humanity’s destiny is the stars. We are born to be wanderers of the cosmos and the everlasting unknown. The very same systems and technologies that take us to Mars may eventually take us to the moons of Jupiter or Saturn. Let us not forget that in cosmic time scales, our entire species’ lifetime, including all of human history, is the equivalent of the blink of an eye. The probability of us existing both as an intelligent species and as individuals is so astoundingly low that it’s practically non-existent. We are the products of 14 billion years of cosmic evolution and extraordinarily good fortune. Knowing this, how can we not explore the universe and expand our presence in it? How can we not leverage this cosmically wondrous opportunity?